Not long ago, we learned about Nixa, Missouri, and a group of local entrepreneurs interested in a community owned network. In May, the City Council approved funding for a preliminary study to explore the possibilities for a municipal network. The study will cost $45,000. “We respectfully believe that should you decide to compete against private enterprise, that we will be well-positioned through our local services, investments and fiber-rich network to answer the challenge,” Fuhr said. “We’re worried if the city continues on this path, the nature of our relationship would eventually change in at least one respect, we would become competitors,” Fuhr said. Once again, we see a paradox. Only if the community invests in a network will the existing cable company consider investing in its network, customer service, and other aspects of a business that is not presently faced with competition. The City has already dedicated staff time to the potential project. In an April, 2013, memo, City Administrator Brian Bingle shared research findings and potential approaches. The City is interested in a fiber network for both SCADA and telecommunications uses. According to the memo, Nixa and Sho-Me Technologies, a local subsidiary of Show-Me Power Electric Coop, already have a positive working relationship and may expand the scope of their collaboration. Sho-Me owns existing fiber resources in the area and has expressed a desire to work with the City. While Sho-Me is not interested in serving last mile to residents or businesses, the Marshall, Missouri company may want to connect community anchor institutions. 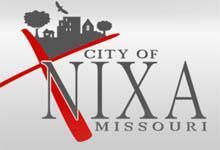 Nixa conducted business and residential surveys earlier this year and detailed results are in the April memo. DSL , Cable, and U-Verse, are sprinkled throughout the area but most respondents still replied positively to a potential municipal network. Affordability is top priority for residents. Potential commerical subscribers listed affordability and more robust service as their main concerns. Regardless of Suddenlink's toss of the gauntlet, Nixa City Council invited them back when the study is complete in 60-90 days.